A UNESCO World Heritage Site and Bermuda’s first capital. 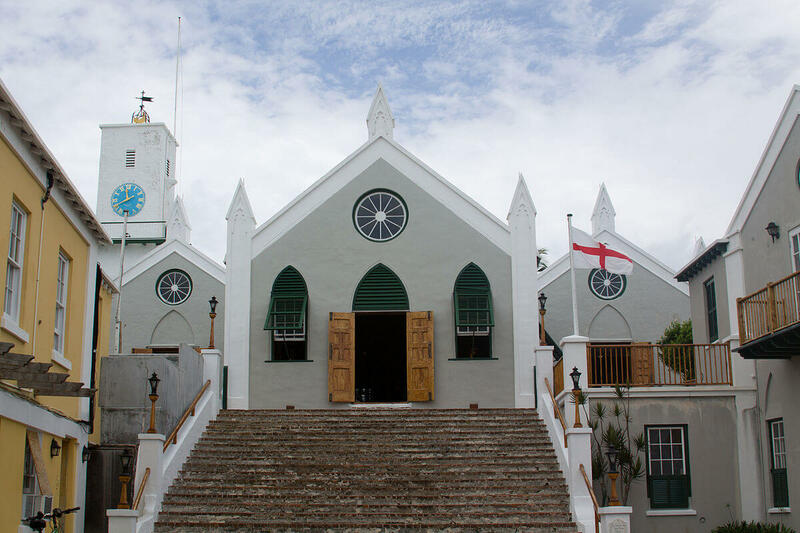 Features a number of historical attractions including St. Peter’s Church, The Unfinished Church, The Bermuda Historical Society Museum, World Heritage Centre, Bermuda National Trust Museum, Stocks ,Pillory & Ducking Stool, The Deliverance, Somers Garden and The Bermuda Perfumery. A historic Bermuda cottage, thought to be the oldest dwelling in St. David’s. There is also a replica of an early settlers dwelling-hut to see. An elegant house built circa 1725 is now the HQ of the Bermuda National Trust. See the Bermuda Rose Society’s showcase garden and the Mary-Jean Mitchell Green Memorial Garden and Gazebo. The stately Georgian house is the offical residence of the Premier. This 1710 Georgian style house features a collection of antique Bermuda cedar furniture, porcelain, portraits and children’s toys. This Anglican Cathedral is a neo-gothic city landmark and the tower offers panoramic views of the city. The House of Assembly meets here. Established in 1895, this museum’s collection encompasses over 400 years of Bermuda history. Enjoy panoramic views of the island from this lighthouse built in 1846. Enjoy a panoramic view of the East End from this lighthouse built in 1879. The smallest drawbridge in the world, just wide enough to let the mast of a sailboat pass through. See a tiny, exquisite chapel in a lovely open rural space. Exhibits our rich nautical history and extensive artefact collections.